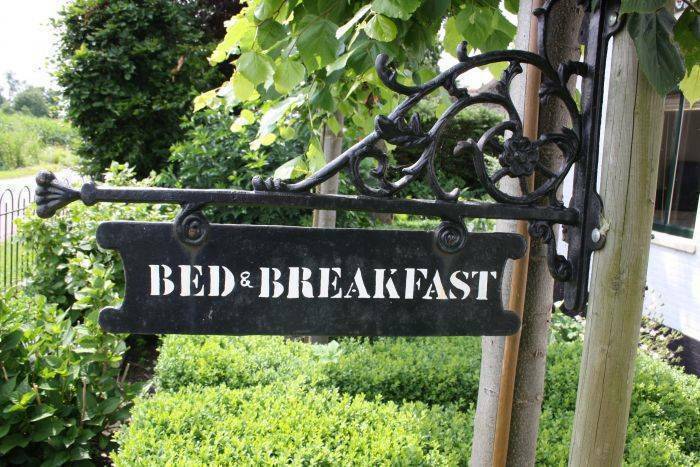 B&B D' Oude Backerij, 42m2, is fully furnished with all comfort and privately located in the garden. There is a private shower and toilet and warm water basin. Coffee and tea is free at your disposal. Even on colder days your stay is comfortable thanks to central heating. There is a TV and a small fridge to accommodate the guest. Private parking is available on the premises only 20 meters from the room. Just outside the room you can enjoy your private terrace in the garden with great views of the countryside. 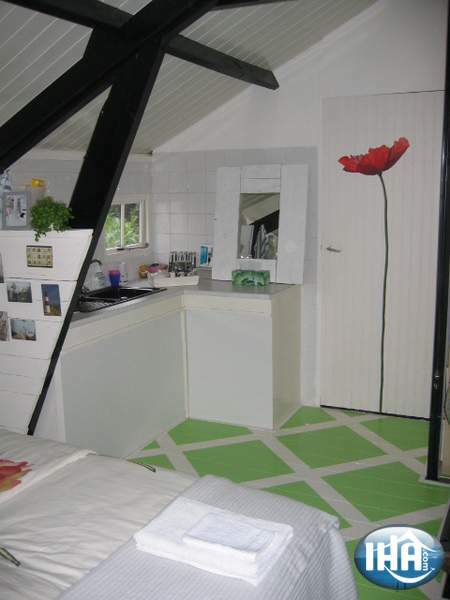 -Very spacious 40m2 and privately located -Private entrance -Beautiful and quite located in the garden. 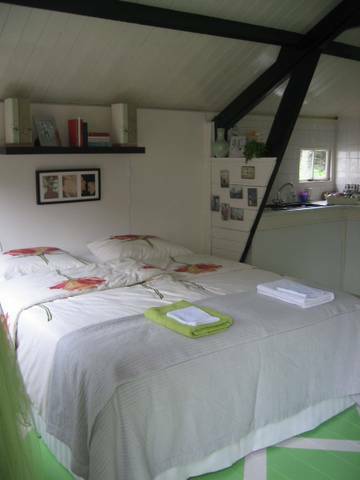 -Box Spring beds, double or twin -Private shower and toilet and warm water basin. -Coffee and tea is free at your disposal. -Central heating. -Flatscreen TV -Free Wifi - Small fridge - Free Private parking is available on the premises only 20 meters from the room. - Your own private terrace in the garden with great views of the countryside. - Free use of BBQ area in summer - Enjoy and eat the vegetables from our garden for free. - outside breakfast is on your own terrace when the weather is pretty. 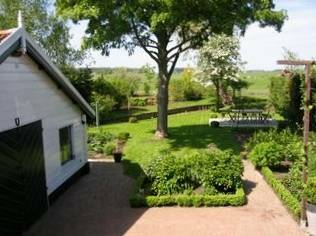 Our guests will enjoy a great time wandering around in this most beautiful area of Noord-Holland. The Beemster area is official UNESCO World heritage since 1999. 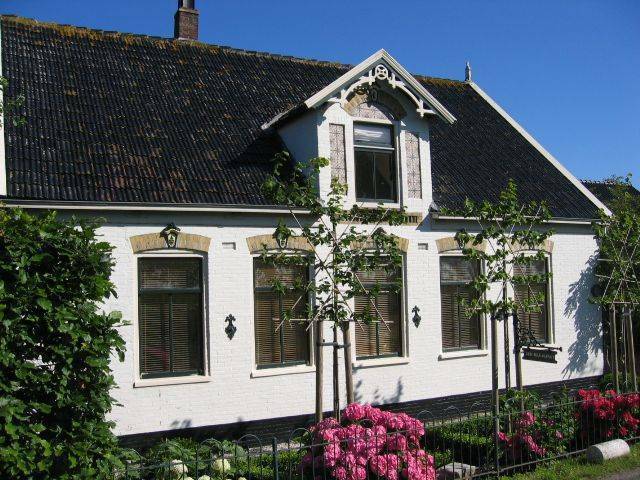 You can also make several great bicycle tours to Edam, Hoorn, or enjoy a picnic, swim or sailing trip at the Ijsselmeer. A little further away , all within 30 minutes by car, you can visit Alkmaar, de famous Zaanse Schans and of course Amsterdam. If you want to play some golf there are several golf courses nearby. The owner who's a golf player himself is happy to arrange your reservations and provide you with some useful information. The owner is apart from an enthusiastic gardener a wine expert and will serve some great wines on request. Inside the B&B you can enjoy the ceramics and collages made by his wife. 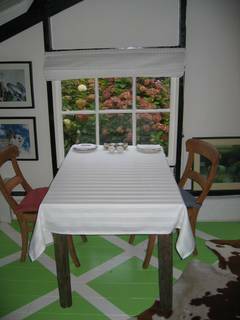 Pricing per day for 2 persons including breakfast. We require a deposit of 25% of total reservation sum. You can cancel for free until 5 days prior to arrival. If you cancel within 5 days prior to arrival you'll need to pay 50% of total amount.